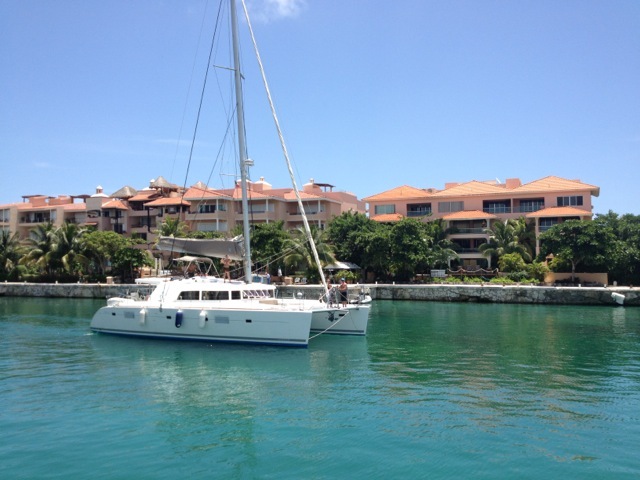 Sailing yacht WHISPERS is a Lagoon 500 catamaran launched in 2011. 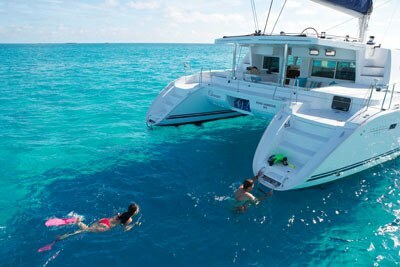 Catamaran WHISPERS was built with a passion and attention to the slightest detail delivering charter guests an unforgettable sailing experience in tropical waters without sacrifice neither to comfort nor luxury. 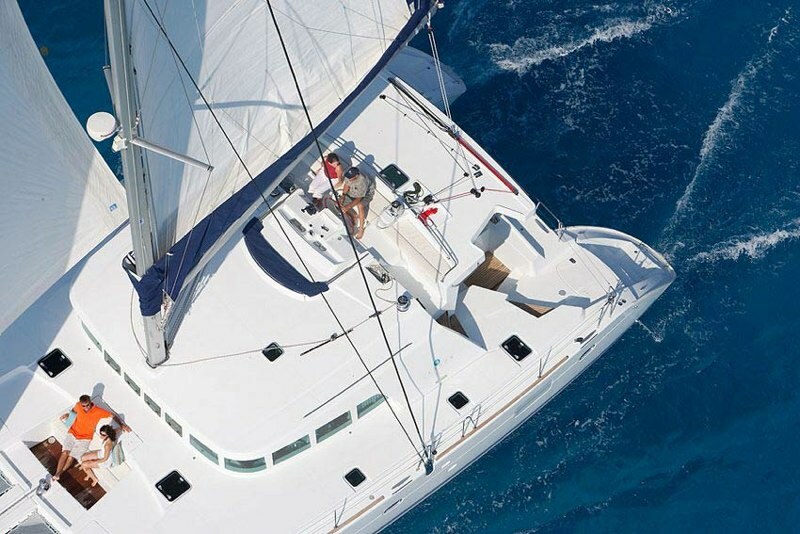 S/Y WHISPERS can accommodate 8 charter guests and is based in Belize through May, available for charters in the Caribbean, Central America, and Mexico. 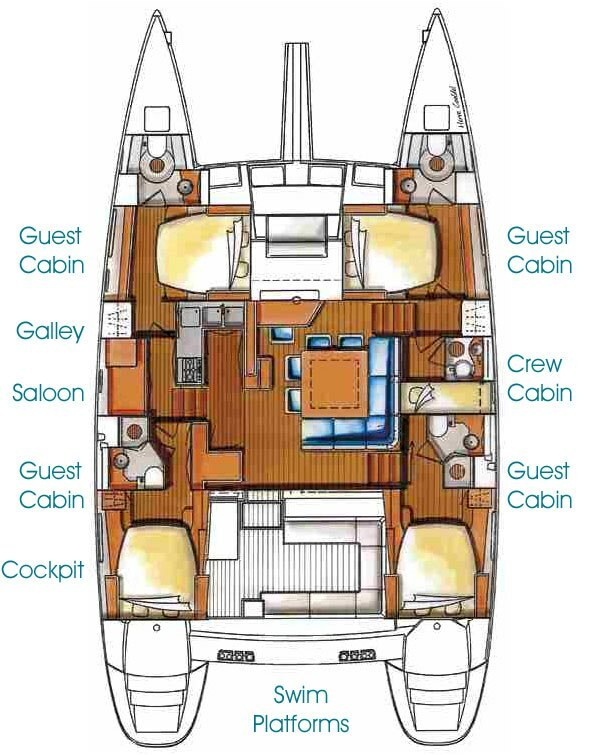 WHISPERS main saloon, dining area and galley are very bright and spacious with light flooring and furnishings, cream leather upholstery and panoramic wrap-around windows for breath-taking seascapes of the outside vistas. 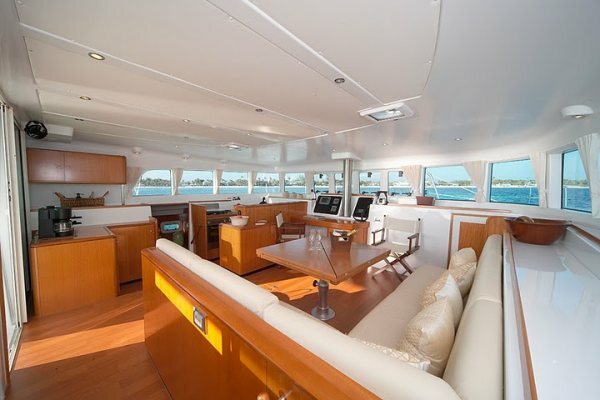 The 50’ charter catamaran WHISPERS is spacious enough to accommodate 8 guests in 4 double cabins with ensuite showers. The cabins feature plenty of natural and artificial lighting, built-in storage space and fine bedding. 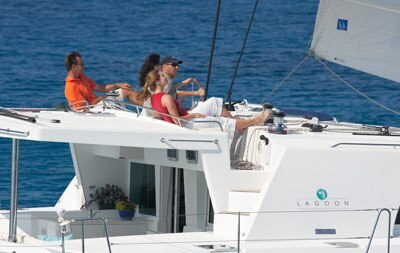 The luxury charter catamaran WHISPERS is perfect for groups of friends spending their charter vacation in exotic ports of call as St. Martin, St. Lucia, BVI, USVI, Mexico or Panama. 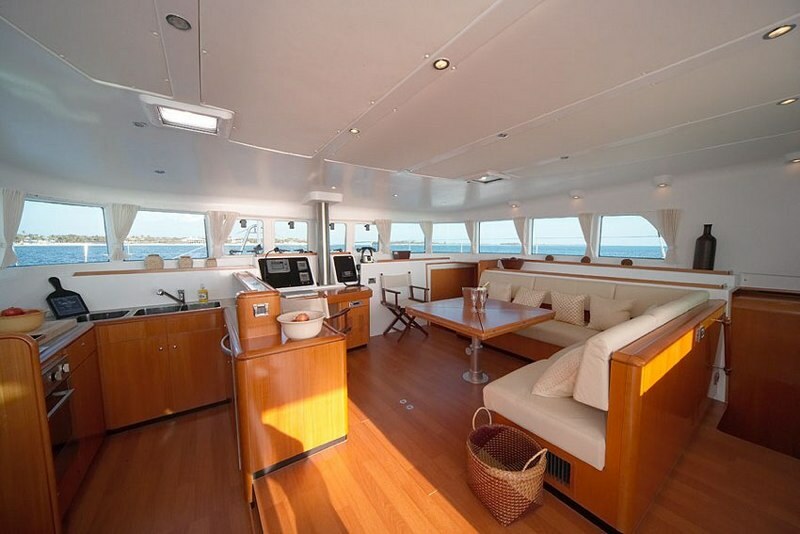 Outdoor living options aboard the WHISPERS catamaran include an aft deck with a table for alfresco dining surrounded by an ivory settee with additional turquoise cushions. From the aft deck step down to the swimming platform to enjoy the water toys available aboard including a 14’ dinghy with 40hp Yamaha engine, kayaks and fishing gear. 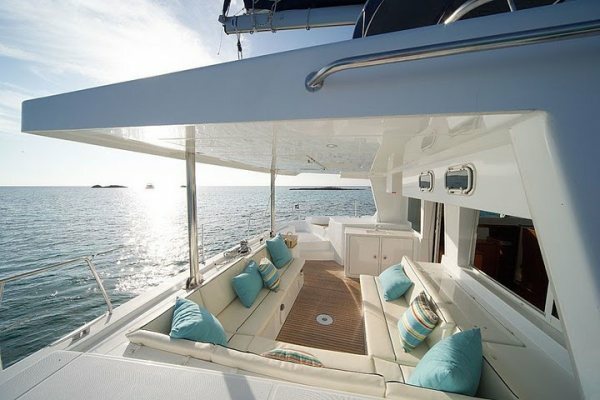 The flybridge with an external helm station provides extra seating to admire magnificent vistas. 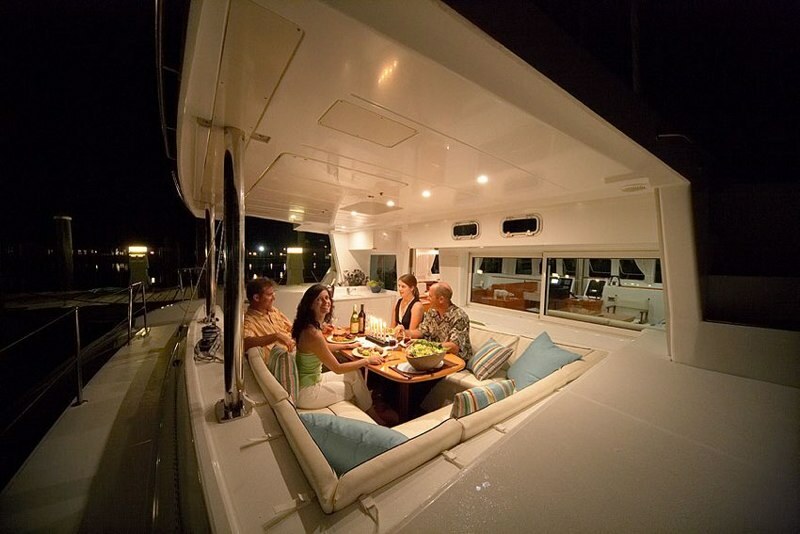 Charter yacht WHISPERS has a professional crew of 3 members. 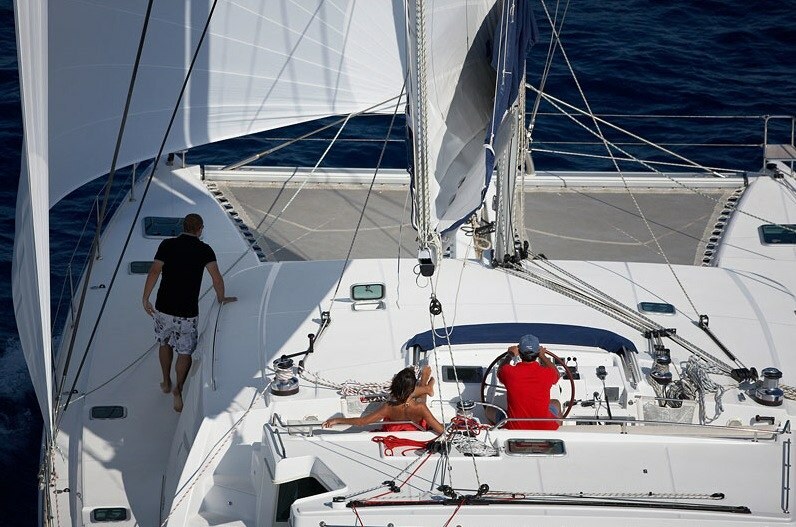 Charter catamaran WHISPERS can accommodate 8 guests in 4 double cabins with ensuite showers. 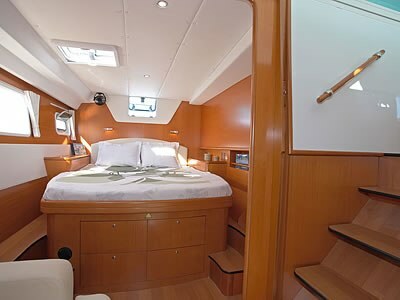 The cabins feature plenty of natural and artificial lighting, built-in storage space and fine bedding. 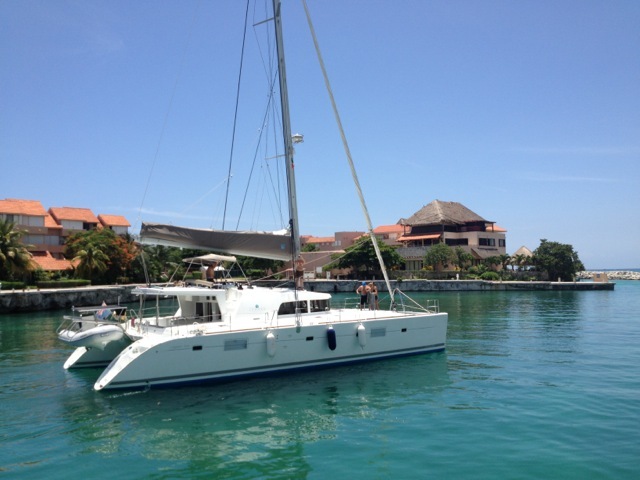 The Lagoon 500 cat WHISPERS has the following Tenders + toys: 14 ft caribe dinghy with 40 hp YAMAHA, 2 sets of fishing equipment, 4 kayaks.